Even city and suburban gardens can be far from the house. 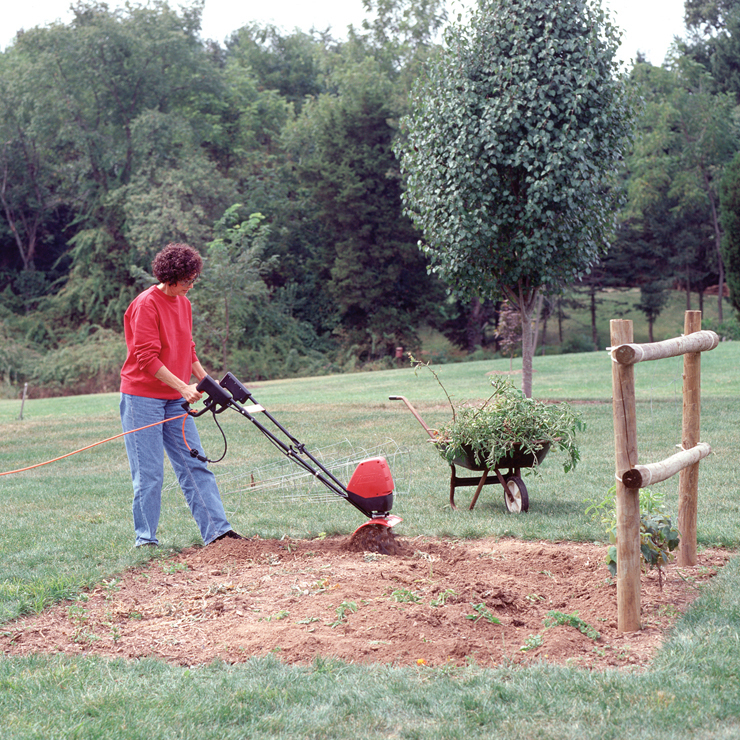 The Cord Management Kit keeps the electrical cord safe and out of your way while you use your Mantis Electric Tiller. The take-up reel sets into the ground and takes up the excess cord slack as you till around your garden. Includes 30' cord, reel and stake plus a 50' extension cord. 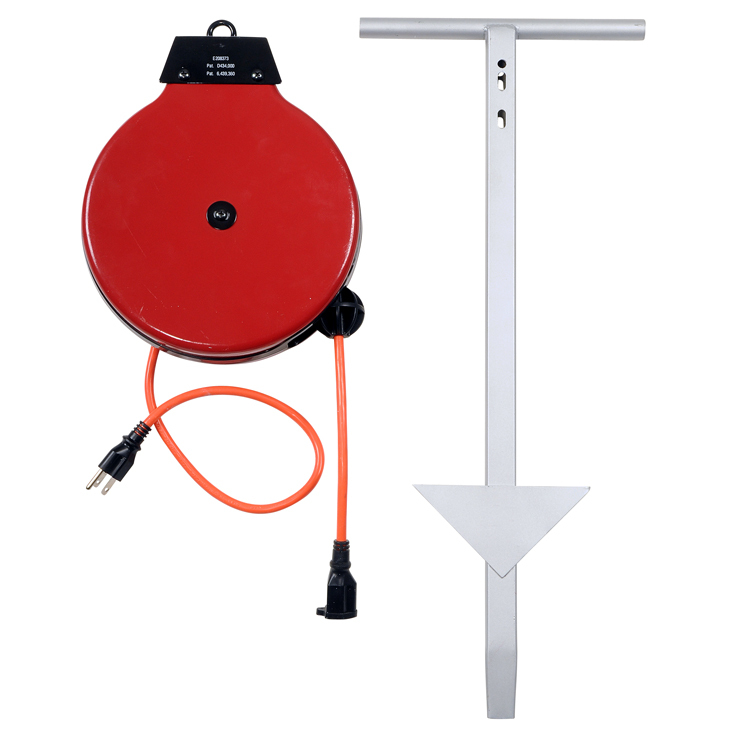 Can also be used with any outdoor electric tool. Use with an electric leaf blower, lawn mower or snow shovel. Handy for Christmas lights too!